Saturday Night Live and Donald Trump don't have the best of relationships. SNL regularly poke fun at him, and he doesn't take it too well. It even got to the point where he thought that the comedy sketches should be tested in court. So we can only imagine that he's not going to be too pleased with this most recent sketch from the SNL guys. In a new sketch entitled "Them Trumps: State of the Union", we see a world where Donald Trump is still President of America, but with one small change: he's black. 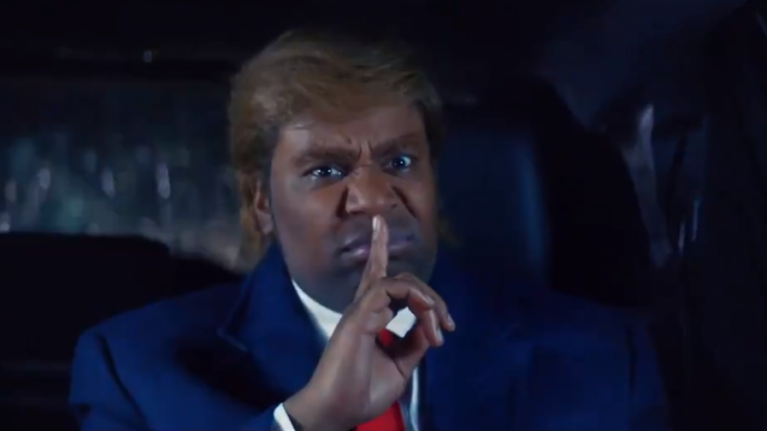 Kenan Thompson plays Trump in the sketch, and he does a damn good job too. The skit has a few funny lines, but also some depressingly accurate moments of cold truth, that highlight the serious systemic problem that America currently has. "Here we go, somebody record it for World Star! ", he yells as he gets pulled out of the car by a policeman, despite the fact that he wasn't driving. Trump hasn't responded just yet, but we'll be keeping an eye on his Twitter account just in case.